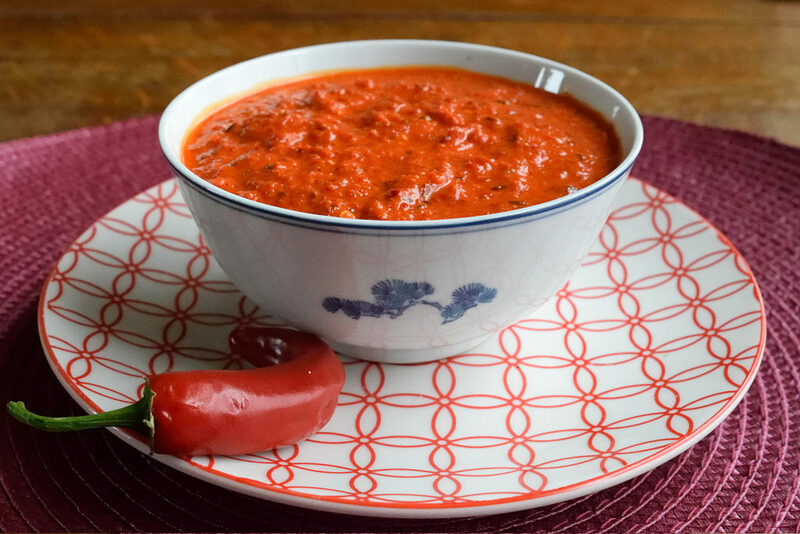 Harissa is a very versatile sauce, made from chili peppers and spices. It’s a spicy condiment, as well as a tasty ingredient in soups, stews or marinades. Commercially made sauces often contain a lot of additives. 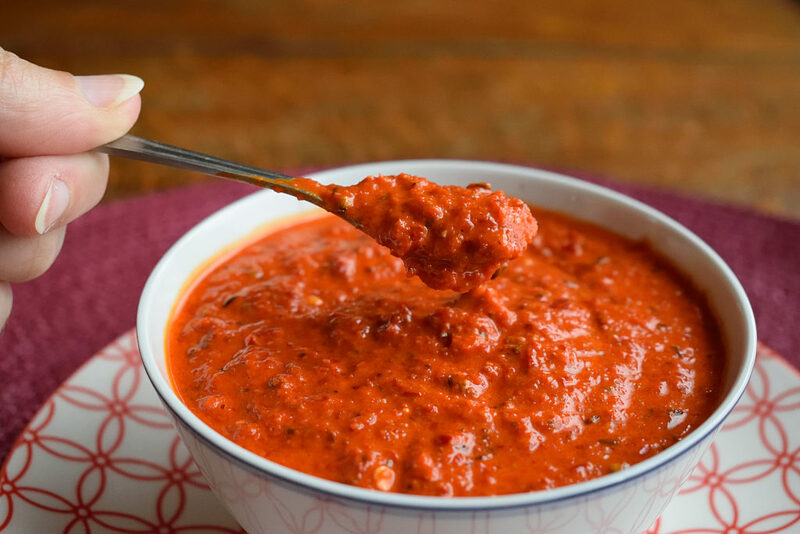 With this sauce, you’ll know exactly what’s in it: six ingredients and couple of minutes of work. That’s all you need to make your own homemade harissa. Harissa is a condiment, made from chili peppers and spices. While it’s most often associated with Tunesian and Algerian cuisine, it’s popular all over North Africa. 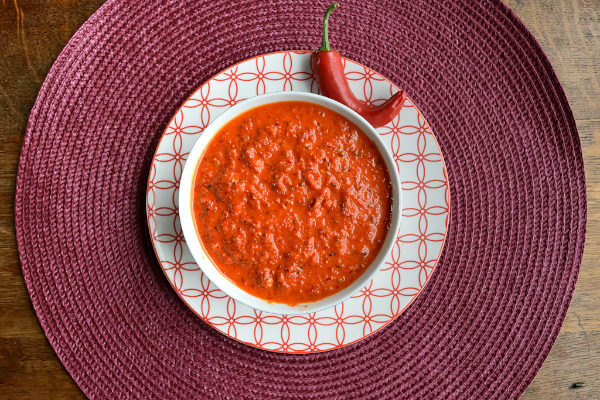 As is often the case with tradional recipes, there are a lot of different ways to make harissa. Probably as many as there are cooks. The base ingredients tend to be chili peppers, garlic, salt, olive oil and spices. Some recipes are very complex, with a long list of ingredients. Our recipe is pretty simple however. Just six ingredients and a couple of minutes of you time is all you need. You can use harissa in a different ways. One way, is as an ingredient. Using it like that is a great way to spice up your dishes. 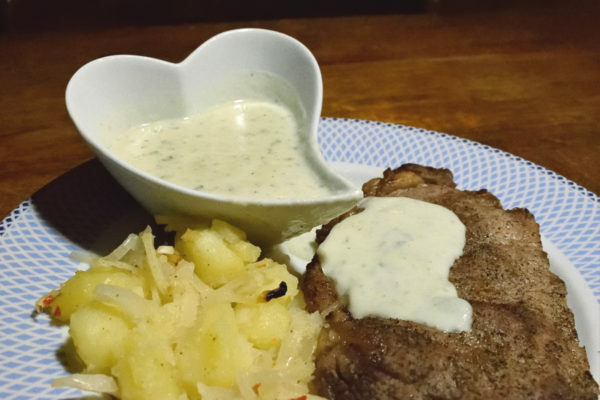 For example, you can apply it to a piece of meat as a rub or mix it with some yoghurt and use it as a marinade. 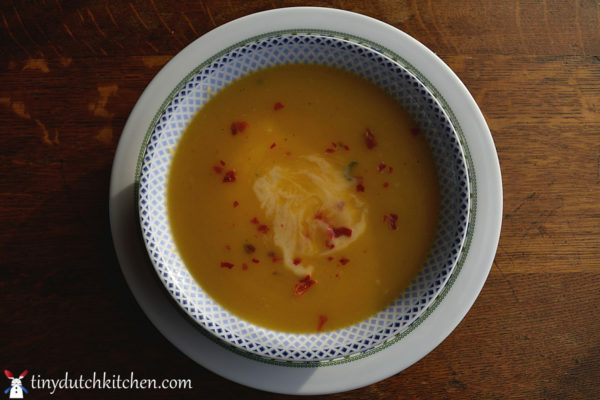 It’s also a tasty addition to soups and stews. Or you can mix it through some micemeat and make spicy burgers. Another way to use harissa, is simply as a condiment. It pairs very well with tagines and couscous dishes. It also tastes great together with our homemade hummus! If you like this recipe, please share it with family and friends or on any of our social media pages. You can find us on Facebook, Instagram or Pinterest. If you want to be kept up-to-date on new recipes and posts, you can also follow us on bloglovin‘ or sign up to our newsletter. Remove the stems from the chillies. If you don't want the sauce to be too hot, also remove the seeds. 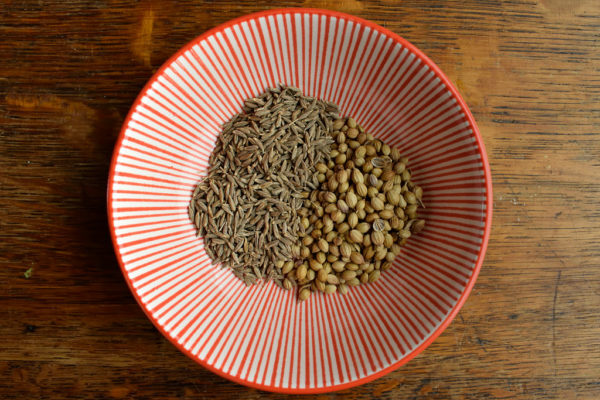 Dry-roast the coriander and cumin seeds until they start popping and they release their aroma. Grind the spices into a powder. This can be done by hand, with a mortar and pestle. Or with the help of a spice grinder, coffee grinder or blender. 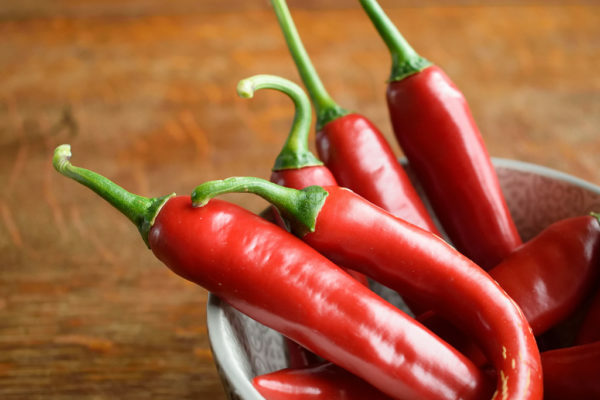 Put the chillies, garlic and salt into a blender. Process until finely chopped. Add the ground spices to the blender, together with some of the olive oil. You might not need to add all the olive oil. Only add enough to reach a mayonnaise-like consistency. Stored in the fridge, your homemade harissa will keep for about a week. 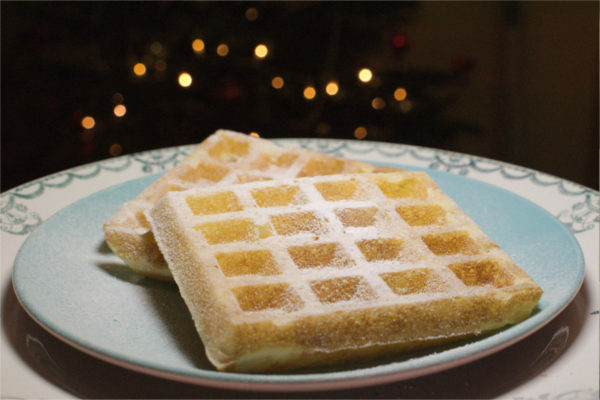 Would you like to receive our latest recipies in your mailbox? Pinda Bravoe. Surinamese Peanut Soup. 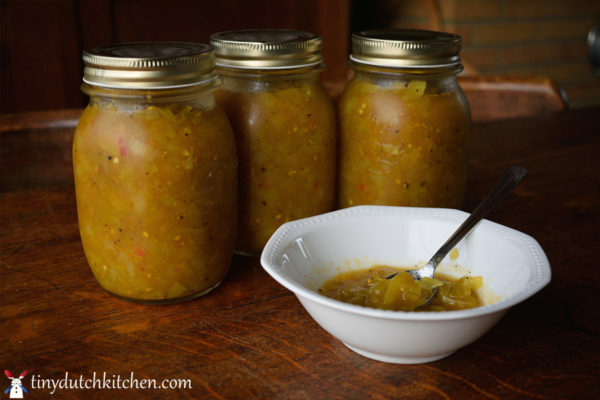 Green tomato chutney. Finding a use for unripe produce. Would you like to receive our new recipies in your mailbox? Yes, sent me the newest recipies! Tiny Dutch Kitchen maakt gebruik van cookies om de gebruikerservaring te verbeteren. Wij slaan geen persoonlijke data op en gebruiken geen cookies voor commerciële doeleinden. Meer info vind je hier. Door deze pop-up de sluiten of de website verder te gebruiken bevestig je dat je begrijpt wat cookies zijn en geef je ons toestemming om cookies te plaatsen.